Simple solutions are greatly important to motorcycling. 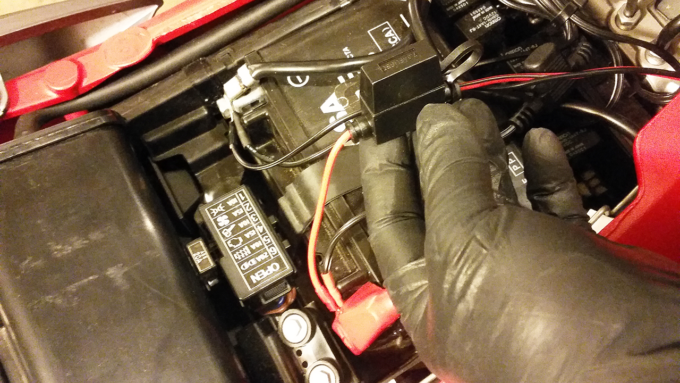 In the case of wiring a USB power port for my wife’s 2016 Triumph Street Triple R, that sentiment includes dodging an elaborate, multi-fuse auxiliary relay bullet. Our custom configuration for said bike deems it less than ideal for two-up travel, so avoiding over-complicated wiring is that much easier. In deciding on a USB outlet installation, I weighed a series of options. Not the least of which was a (perhaps brutish) cigarette lighter port. These have their benefits as they allow for a pretty lengthy catalog of compatible extensions. My only qualm about going this route is that while seemingly universal, there’s always something a little chintzy about their conductive points. For this bad girl, we want something sturdy and reliable. In the past, I’ve confidently employed both single and dual-port weatherproof electrics from BurnsMoto. Their products are durable to say the least, though in the case of their USB outlets I’d much prefer an inline fuse to their internal circuitry. Sure, they’re tough enough for the job but should one fail … time to order another. My resolve is to order a Motopower 0609A. 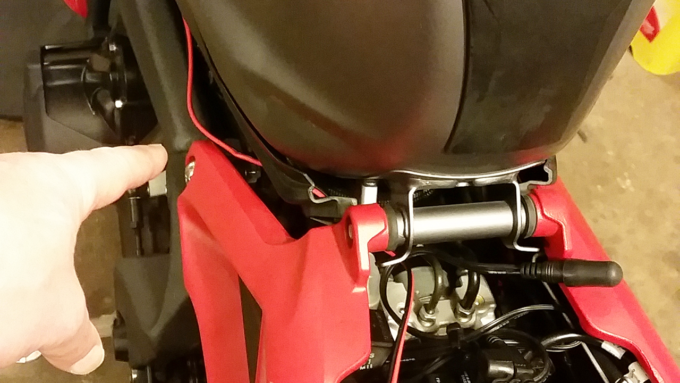 This waterproof motorcycle USB charger kit starts with a direct-to-battery ring connection. Followed quickly by an inline fuse port (7.5 amps), it then extends for just over three feet, tailed by an SAE connection for battery tender use. … but aren’t we trying to install a USB power port? We are and the remainder of it’s fifty-one inch length accommodates. 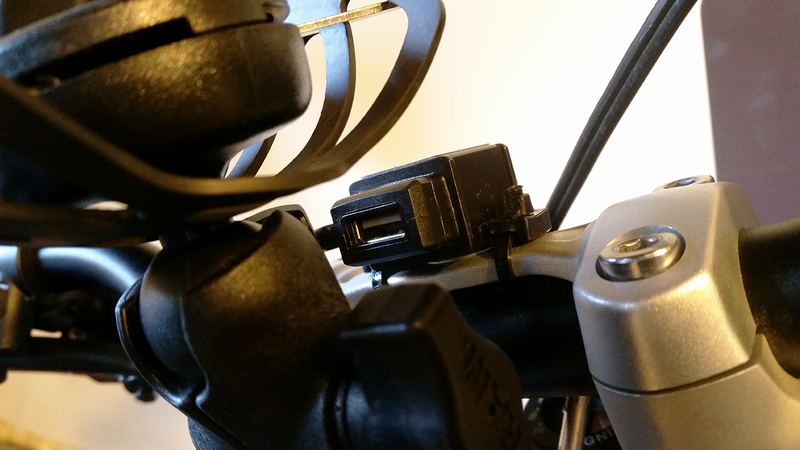 The final section of it’s wire scheme includes another SAE plug and the USB outlet itself. This quick-disconnect allows for keyless SAE power access and battery tender charging. It gets better with an additional SAE Y-splitter. 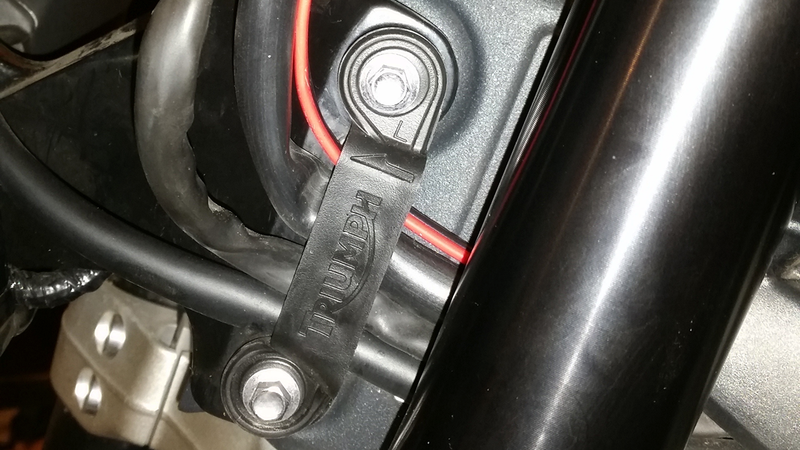 Adding this element inline toward the front of your bike means plugging your motorcycle in for it’s nightly recharge is just a matter of pulling a cap from one extra connection point. It also means less stress on the wires themselves (over handling). So, where my own Bandit 1200S demands a keyed, six-channel fuse block for two USB ports, one Powerlet connection, heated grips, Vololights and an air horn, my wife gets the simple convenience of one all-encompassing SAE circuit. That and one Powerlet port for her heated clothing is enough to enable all of the creature comforts she’s requested. 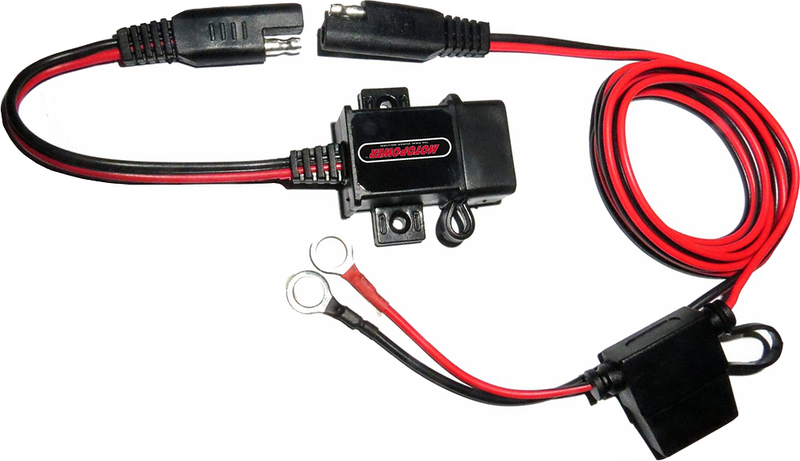 The Motopower 0609A waterproof USB charger kit answers the call and will be a regular go-to for future installations of similar need. What Wiring Adapters Have You Installed? 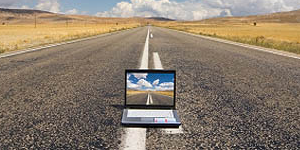 There are a number of great power power products on the market. Which ones do you prefer? What do you like about them and why? Your input is invited. Post an article!